From Ebensburg take Rte. 422 west towards Belsano. At Pindleton, turn left onto Cardiff Rd. 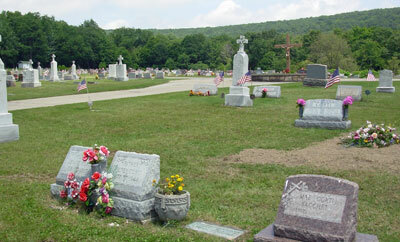 The cemetery will be on the left side of the road.